Many small businesses face the same problem when it comes to how customers contact their business. Traditonally, if a business wants one phone number customers can call into and reach anyone in the business, the solution from the phone company proves to be very expensive. Not only will the business need the phone number, they will need multiple lines in order to conduct several phone calls at once. HighSpeed Systems EXT Phone System is the solution to this problem. Utilizing your existing internet connection, our user installable system comes pre-programmed and ready to assist your business in reaching another level of productivity and professionalism. Now your business can operate from one main phone number with each employee having their own individual extension. If someone is not at their desk, our system can automatically forward the incoming call to their cell phone. The EXT System also gives your business the ability to advertise and publish one main number where customers can call and reach the department or employee of their choice. To further enhance the image of your business, the EXT auto-attendant can play a customized voice driven menu that will leave customers with a great first impression. 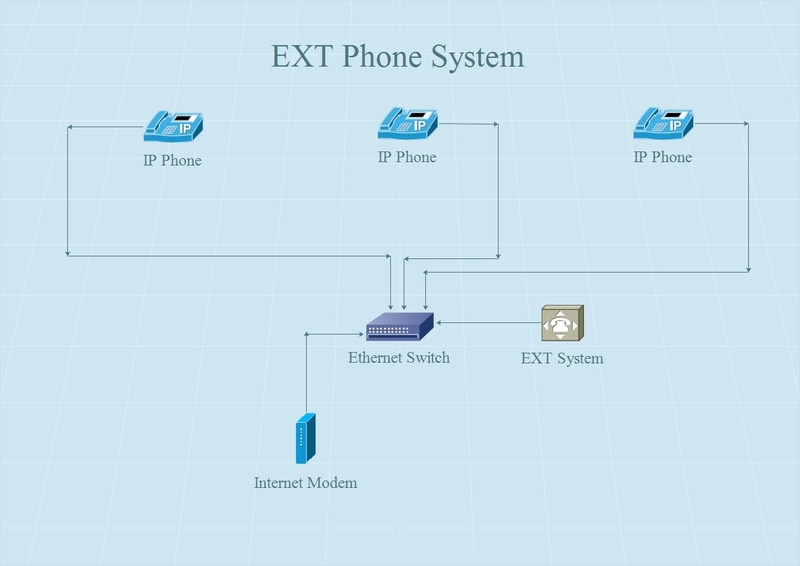 The EXT Phone System makes use of your existing internet connection to deliver crystal clear Voice Over Internet Protocol (VOIP) telephone calls. Unlike traditional copper wire phone systems, our EXT System just needs a few small pieces of equipment to get your business up and running with this great solution. We require you have an internet connection of at least 5 Mbps Download and 1 Mbps Upload, the EXT system which we provide, and an ethernet switch that you can provide yourself, or purchase one from us. Take a look at the diagram to see how it works! 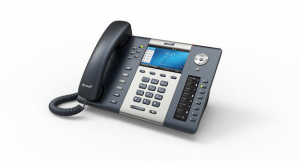 The EXT Business Phone System offers a full range of handsets by industry leading brands. Take back your desk with these sleek and comfortable to use phones with countless calling features at your fingertips. Our company knows first hand how cumbersome it can be to use your cell phone at your desk when assisting a customer, now you can put away your mobile and conduct business with ease from your new phone’s handset or speaker-phone. Every customer who uses the EXT Business Phone System can use all of these features at no additional charge. We know how important your time is so let us do the heavy lifting. 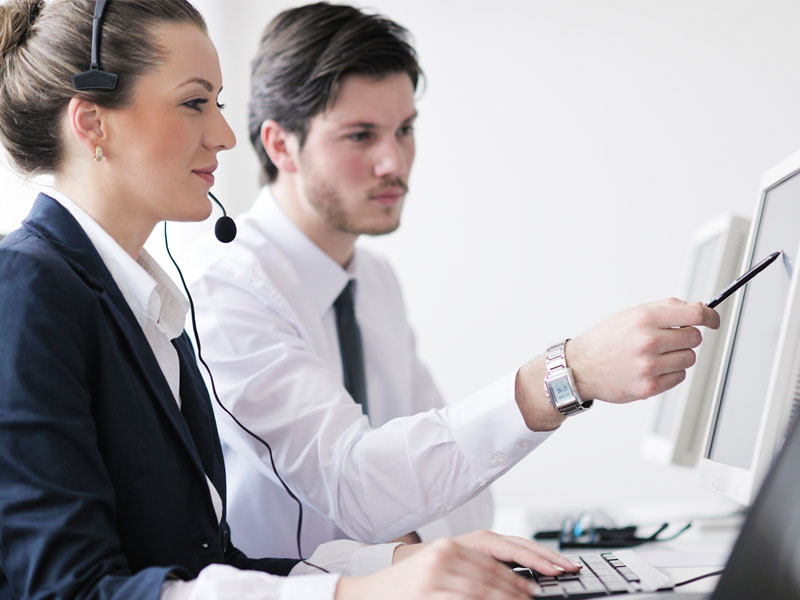 Traditional phone systems require you to provision and maintain the system while HighSpeed Systems team of experts takes on the technical programming and support. Once your system is installed and working the way you want it, we don’t foresee any need to call us, however, if any issues arise or you just have a general question, we’re happy to field your calls or emails any time. $39.95 per month for the EXT Business Phone System with one phone number. $19.95 per month for each extension. This price includes unlimited Canada/US calling from all extensions, and it includes all of the Calling Features mentioned earlier. If you would like a Toll Free number, we can supply one for you for an additional 4 cents per minute for inbound Toll Free Calls. Additional Direct Inward Dial (DID) numbers are available at a cost of $5.00 per month for each additional number. Our worldwide Long Distance rates are extremely low and are available on our web site in our Long Distance Rate Table. A $200.00 deposit is required for the EXT phone system. This amount will be reimbursed to you in the form of credits on your bill over a period of 3 years. We have no long term contracts, so you are never locked-in. We offer our service on a month-to-month basis. Of course we never want you to leave us, but if you need to you can easily terminate our service. If you are interested in obtaining an EXT Business Phone System for your small business, we’ll make it easy for you. Just give us a call Toll Free at 855-393-9434 and we’ll get the ball rolling. We’ll tell you more about this terrific system, our company, our selection of handsets, and anything else you would like to discuss. We’ll ship your equipment to you and walk you through the setup. In a matter of a few days, you can be up and running on our system and start enjoying all of the benefits of the EXT Business Phone System. Download our buyer’s guide PDF below. If our EXT Phone System sounds like the perfect fit for your company, please contact us today! You can reach us via the following methods or by filling out the contact form below.